Mr. Packey A&apos;Hearn (his wife Cathy taught at Everest for 18 years) also built the wooden cross. This crucifix will greatly enhance prayer, especially at the schools outdoor Masses. Below you will see the lifting, affixing and adoring of the cross. God&apos;s timing is always perfect. 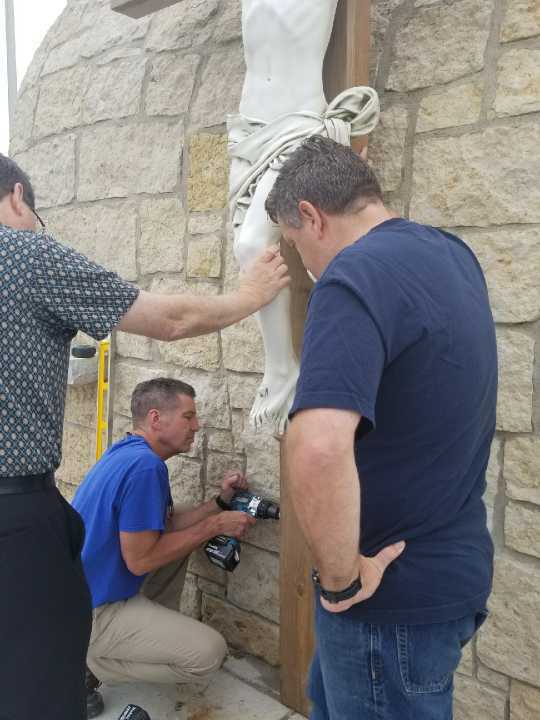 The school had hoped the Cross would be ready for the unveiling last May, but there were delays in the process. 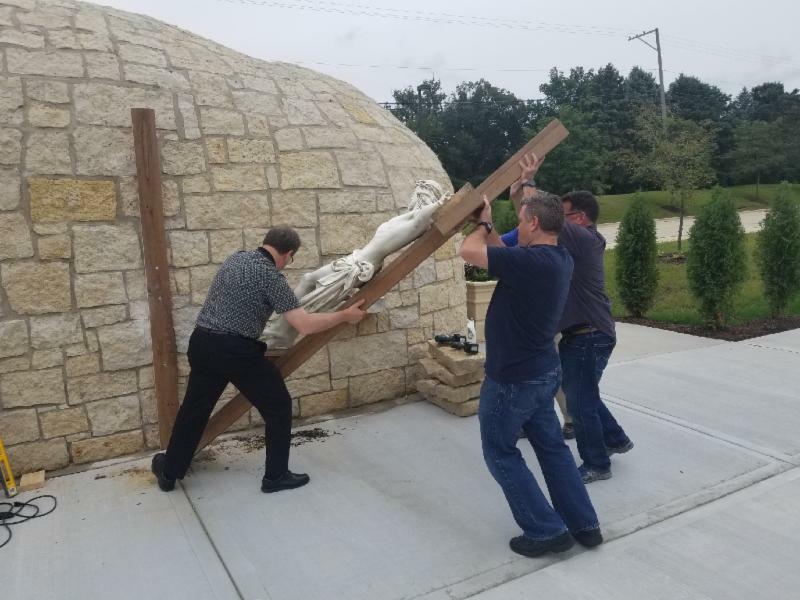 Now you can see the hand of God, for the cross was completed and installed on Blessed Mother&apos;s Birthday, September 8th which is also the 23rd anniversary of the opening of the school in 1995. If you are in the area, stop by with your family for a prayerful visit!